Death Row Survivor Juan Melendez to Speak at State Convention of the Texas Democratic Party at Caucus Meeting of "Democrats Against the Death Penalty"
Juan Melendez, who spent 17 years, 8 months and 1 day on Florida’s death row for a crime he did not commit, will speak at the caucus meeting of “Democrats Against the Death Penalty” at the Texas Democratic Party State Convention in Corpus Christi on Friday, June 25, 2010 in Room 225D-E at the American Bank Center. Also speaking will be State Rep. Jessica Farrar, a Democrat from Houston who filed HB 682 in the 2009 Texas legislative session to repeal the death penalty. The anti-death penalty caucus was first formed at the 2004 TDP State Convention. The Texas Democratic Party has endorsed a moratorium on executions in its party platform at each state convention since 2004. Melendez has been described as “a living testament to the injustice of capital punishment” because his case highlights the myriad of problems that plague the death penalty system and in particular, the high risk and inevitability of executing the innocent. While his story is unique, the circumstance of being innocent and on death row is shamefully anything but unique. Since 1973, 138 people, including 11 in Texas, have been released from death row with evidence of innocence. Melendez will speak at the Texas Democratic Party State Convention at a critical time in Texas when serious questions have been raised about the likely innocence of Todd Willingham, Ruben Cantu and Carlos De Luna, all of whom were executed by the State of Texas. Melendez’s evocative testimony will underscore the need for an immediate moratorium on the death penalty and a comprehensive examination of the system to determine how, if at all, the system can be reformed to safeguard against executing the innocent and to protect the public from the actual perpetrators who elude punishment each time the system gets it wrong. Where: Room 225D-E, American Bank Center, Corpus Christi. Juan Melendez is available for interviews at any time during the convention. He speaks English and Spanish. To schedule an interview, contact Judi Caruso at 505-362-1784. 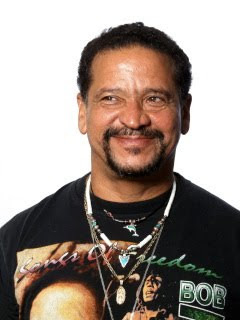 Juan Melendez is a board member of Witness to Innocence, which is the nation’s only organization composed of, by and for exonerated death row survivors and their loved ones.